You will need a wireless network card. Note, not all network cards will work best with the software mentioned unless some tweaking is done. I recommend doing some research on how to get each card working or which ones work best before buying one. That’s all the items you need to get started. The rest of the items are found below and links to them are found right above the picture of them. Network Stumbler a.k.a NetStumbler – This Windows based tool easily finds wireless signals being broadcast within range – A must have. It also has ability to determine Signal/Noise info that can be used for site surveys. I actually know of one highly known public wireless hotspot provider that uses this utility for their site surveys. Kismet – One of the key functional elements missing from NetStumbler is the ability to display Wireless Networks that are not broadcasting their SSID. As a potential wireless security expert, you should realize that Access Points are routinely broadcasting this info; it just isn’t being read/deciphered. Kismet will detect and display SSIDs that are not being broadcast which is very critical in finding wireless networks. Once you’ve found a wireless network, the next step is to try to connect to it. If the network isn’t using any type of authentication or encryption security, you can simply connect to the SSID. If the SSID isn’t being broadcast, you can create a profile with the name of the SSID that is not being broadcast. Of course you found the non-broadcast SSID with Kismet, right? If the wireless network is using authentication and/or encryption, you may need one of the following tools. Airsnort – This is a very easy to use tool that can be used to sniff and crack WEP keys. While many people bash the use of WEP, it is certainly better than using nothing at all. Something you’ll find in using this tool is that it takes a lot of sniffed packets to crack the WEP key. There are additional tools and strategies that can be used to force the generation of traffic on the wireless network to shorten the amount of time needed to crack the key, but this feature is not included in Airsnort. CowPatty – This tool is used as a brute force tool for cracking WPA-PSK, considered the “New WEP” for home Wireless Security. This program simply tries a bunch of different options from a dictionary file to see if one ends up matching what is defined as the Pre-Shared Key. ASLeap – If a network is using LEAP, this tool can be used to gather the authentication data that is being passed across the network, and these sniffed credentials can be cracked. LEAP doesn’t protect the authentication like other “real” EAP types, which is the main reason why LEAP can be broken. Whether you are directly connected to a wireless network or not, if there is wireless network in range, there is data flying through the air at any given moment. You will need a tool to be able to see this data. Ethereal – While there has been much debate on the proper way to pronounce this utility, there is no question that it is an extremely valuable tool. Ethereal can scan wireless and Ethernet data and comes with some robust filtering capabilities. It can also be used to sniff-out 802.11 management beacons and probes and subsequently could be used as a tool to sniff-out non-broadcast SSIDs. The aforementioned utilities, or similar ones, will be necessities in your own wireless security toolkit. The easiest way to become familiar with these tools is to simply use them in a controlled lab environment. And cost is no excuse as all of these tools are available freely on the Internet. BackTrack is the most top rated Linux live distribution focused on penetration testing. With no installation whatsoever, the analysis platform is started directly from the CD-Rom and is fully accessible within minutes. It’s evolved from the merge of the two wide spread distributions –Whax and Auditor Security Collection. By joining forces and replacing these distributions, BackTrack has gained massive popularity and was voted in 2006 as the #1 Security Live Distribution by insecure.org. 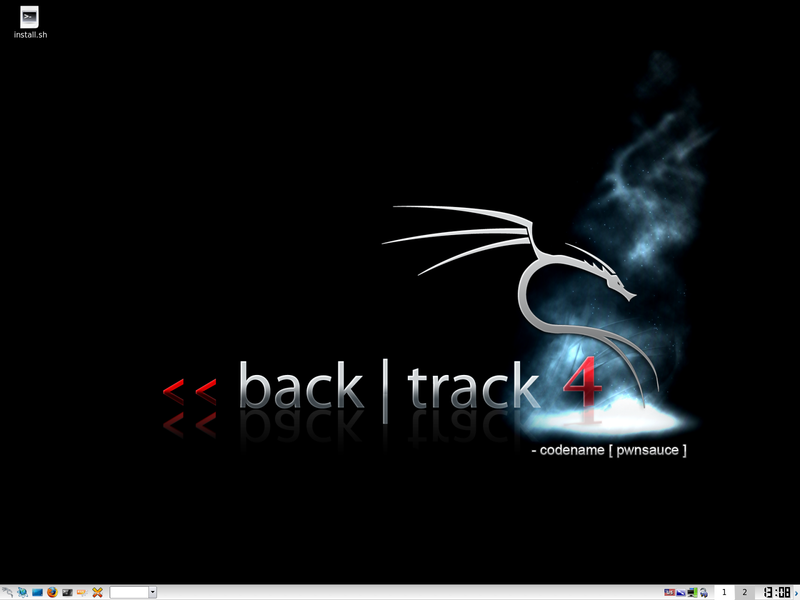 Security professionals as well as new-comers are using BackTrack as their favorite tool set all over the globe. Just as it’s important to know how to utilize the aforementioned tools, it is important to know best practices on how to secure your Wireless Network Against these tools. NetStumbler – Do not broadcast your SSID. Ensure your WLAN is protected by using advanced Authentication and Encryption. Airsnort – Use a 128-bit, not a 40-bit WEP encryption key. This would take longer to crack. If your equipment supports it, use WPA or WPA2 instead of WEP (may require firmware or software update). Cowpatty – Use a long and complex WPA Pre-Shared Key. This type of key would have less of a chance of residing in a dictionary file that would be used to try and guess your key and/or would take longer. If in a corporate scenario, don’t use WPA with Pre-Shared Key, use a good EAP type to protect the authentication and limit the amount of incorrect guesses that would take place before the account is locked-out. If using certificate-like functionality, it could also validate the remote system trying to gain access to the WLAN and not allow a rogue system access. ASLeap – Use long and complex credentials, or better yet, switch to EAP-FAST or a different EAP type. Ethereal – Use encryption, so that anything sniffed would be difficult or nearly impossible to break. WPA2, which uses AES, is essentially unrealistic to break by a normal hacker. Even WEP will encrypt the data. When in a Public Wireless Hotspot (which generally do not offer encryption), use application layer encryption, like Simplite to encrypt your IM sessions, or use SSL. For corporate users, use IPSec VPN with split-tunneling disabled. This will force all traffic leaving the machine through an encrypted tunnel that would be encrypted with DES, 3DES or AES. 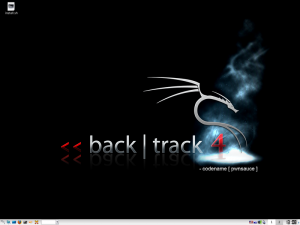 I added a section about the BackTrack security suite since it allows you to get most of these tools in one simple setup that can run completely off a CD or thumbdrive without setting up a special machine just for these tools. This entry was posted by John Jones on February 11, 2009 at 7:42 PM, and is filed under Guides. Follow any responses to this post through RSS 2.0. You can leave a response or trackback from your own site. people that want them to be able to actually use them. That is extremely hard in your case, because you offer links, but to files that end up needing to be unzipped. To make matters worse…they won’t open when using unzip tools. There are no executionables that will open in the listed unzipped folders. There are no instructions to aid in this endeavor either. Many these tools are not easy executable files. I agree that there isn’t clear documentation in this article on how to use each of these. I can add some tutorials to help learn these tools, any suggestions on which ones to start with?